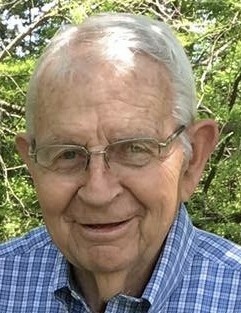 Wendell Blair was born in Sayre, Oklahoma to the late Raymond and Georgia Blair. Wendell passed from this life on Wednesday, December 05, 2018 at the Blue River Healthcare Facility in Tishomingo at the age of 82 years, 11 months, and 4 days. Upon graduating high school Wendell went on to receive his Batchelor's Degree in Agriculture from Panhandle State University and then received his Master's Degree in Agronomy from Oklahoma State University. In 1963 he moved to Tishomingo, Okla. and taught Agronomy at Murray State College for several years. After leaving Murray State College Wendell worked for the Kerr Foundation in Wister, Oklahoma. Wendell and his family eventually moved back to Tishomingo and owned and operated several small businesses. Wendel also leaves behind 10 wonderful grandchildren. Wendell was an active member of The First United Methodist Church in Tishomingo. He was a former member of the Oklahoma School Board Association, was active in local politics, and enjoyed lively conversations with friends and family members. He was well loved by his community and was known for his smile and gentle nature. In lieu of flowers, the family asks that donations be made to The First United Methodist Church Circle of Care. Services are under the direction of Tishomingo Funeral Home.